REVIEW – ‘Monsters University’ marks another successful sequel for Pixar. Pixar is no stranger to the sequel game, having already turned Toy Story into a successful franchise and delivering an enjoyable follow-up to Cars, but Monsters University marks the first time they’ve ever tried their hand at traveling backward, rather than forward. 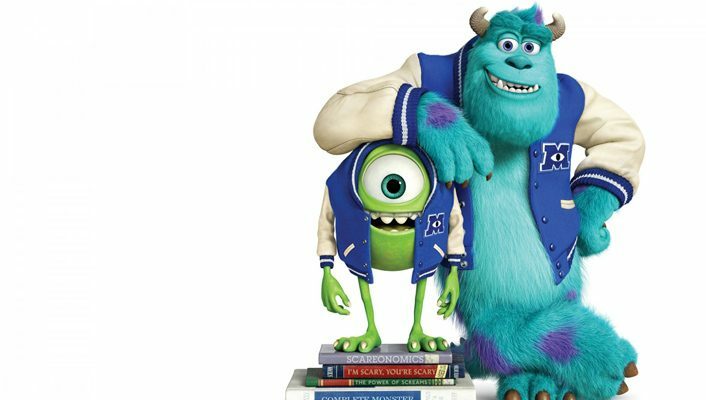 Years before the events of Monsters, Inc., Mike Wazowski and James P. Sullivan were both attendees at Monsters University, and that’s where our story takes place. Mike (Billy Crystal) has spent nearly his whole life with one goal in mind: becoming a scarer, the most prestigious and respected career path for any monster. On the opposite end of the spectrum lies Sulley (John Goodman), content to coast through life while trading on his family name, convinced that he’ll never truly have to work for anything he accomplishes. The two couldn’t possibly be more different, and spend a good portion of the film at odds with each other, until circumstances require that they team up to enter a scaring contest which will dictate their future. Monsters University contains plenty of nods to traditional college films, all viewed through a colorful and creative spectrum. There are also numerous references to Monsters, Inc. and the eventual fate of our stars, woven into the narrative in a subtle fashion that never feels too forced. It’s great watching the relationship between Mike and Sulley evolve, and director Dan Scanlon keeps the pace moving along nicely so that you barely notice the film’s lengthy runtime. While it will likely never be considered part of the upper echelon of Pixar films, Monsters University is a worthy addition to the studio’s impressive catalog, and an enjoyable expansion of the universe they created with Monsters, Inc.